Diabetes Patients Are Hacking Together the Tech They Need. Doctors Are Just Tuning In. Twitter is good for more than spreading conspiracy theories — it can also help improve the quality of life of people with health conditions like diabetes. In a study published on Monday in The Journal of Diabetes Science and Technology, researchers at University of Utah Health examine how the diabetes community uses Twitter to share information on open source artificial pancreas (OpenAPS) technology, a DIY hack of two diabetes management devices. The social media platform also provides healthcare providers and regulators with a birds-eye view of the wants and needs of patients, according to the researchers, which could prove invaluable as they look to better serve the diabetic community in the future. Continuous glucose monitors (CGM) are devices that do pretty much what you’d expect: they continuously monitor the glucose levels of people with diabetes. Insulin pumps, meanwhile, are computerized devices that automatically inject insulin into the body, either as a steady stream or at predetermined times of the day. OpenAPS is an off-label combination of these two devices. 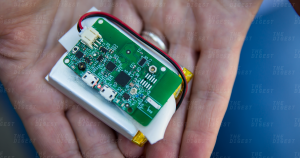 People in the diabetic community figured out a way to hack CGMs and insulin pumps to get them to “talk” to one another, essentially producing a self-regulating artificial pancreas. The CGM notes when a person’s glucose levels are high and instructs the pump to deliver insulin. For their study, the researchers looked at more than 3,000 tweets containing the hashtag #OpenAPS posted between January 2016 and January 2018. From this, they identified five themes on which the diabetic community focused, including a reduction in daily stress and the perception that OpenAPS is safe. This is all information that providers and regulators in the healthcare industry should consider when anticipating the wants and needs of people with diabetes, the study’s first author, Michelle Litchman, noted in a press release. And now, thanks to the University of Utah Health team’s research, it’s readily available to them.